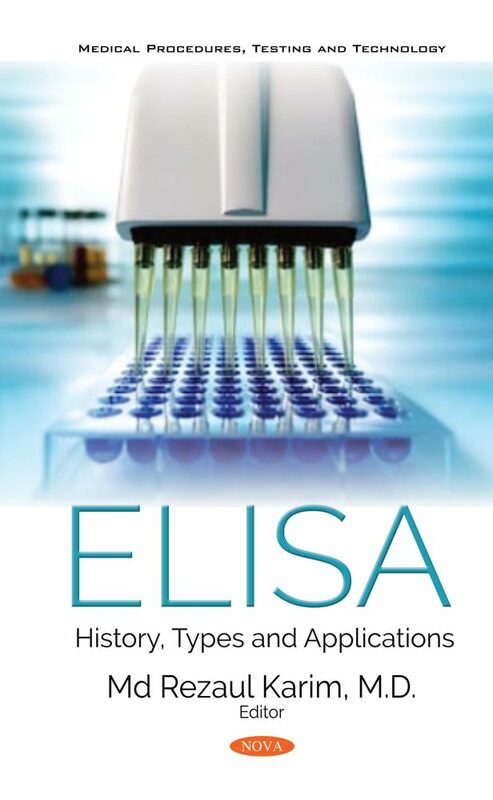 ELISA: History, Types and Applications contains unique combinations of chapters in which the abstract of each chapter defines the work considered for the entire chapter. One of the essential goals of this book is to delineate vital information about different types of ELISA and their applications. The beginning chapter describes the history and background of enzyme-linked immunosorbent assay (ELISA), as well as the remarkable changes that were brought about by this technique. The chapter also describes the commercial application techniques used in food and diagnostic industries. The second chapter, on the other hand, describes various types of ELISA and their steps to perform ELISA. The third chapter discusses the practical applications and their mechanisms from theory. It also discusses possible multiple sources of error which can exist at each stage of the process; how to minimize the error; and the principles of data analysis. The fourth chapter discusses the applications of ELISA in various fields, which also include the uses of ELISA in the diagnosis of infectious diseases, parasitic diseases, and non-communicable disease caused by a variety of pathogenic microorganisms. While Chapters One to Four describe a detailed history, a variety of ELISA, their steps, their sources of application error, their solutions and their applications in different fields, the remaining chapters discuss more specific issues, including: The role of ELISA in advanced glycerin end products and their cell surface receptors in metabolic diseases, indirect ELISA for the diagnosis of Brucella Canis, ELISA based detection in cancer research, etc. Audience: Researchers, Pathologists, Toxicologists, ELISA Kit agents, Individuals working on ELISA research and development, Laboratory Technicians in medical laboratories for the in vitro diagnostics and serological blood tests, Teachers of ELISA laboratory course, Graduate students who require ELISA for their research, Applicants in the food industry in detecting potential food allergens, etc.